The last 24 hours have held such incredible heartache. 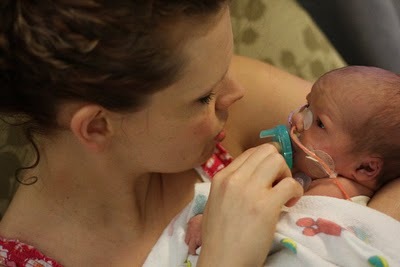 My dear friend Kirsten and her loving husband James said goodbye to their beautiful baby boy. They held him in their arms in his final moments of life as he moved quietly from this life to the next. He went to be with Jesus. What words can be said? Only love and tears. So many times today, I have found myself stopping at odd moments and sitting for long minutes in silence. Tears well in my eyes. My stomach clenches in sadness. My heart aches, and I push all the love I hold for this dear friend out from my body on a 3,000-mile journey northwest to where she lives, from my one far corner of the country to her at the other, just sending her all my love, just sharing with her and James in their sadness. I have closed my eyes in prayer so many times. Asking God for mercy. Asking Jesus to bring his peace. Asking God to be kind, and present, and gentle, and to surround them and all those near to them with all the love God has to give. Tonight I also have spent time with the photograph above. From the first moment I saw it, just a few days after Ewan's birth, this photograph moved me so. It speaks so much of how well this mama and her little one knew one another, don't you think? And from this day forward, whenever I think of Kirsten and her precious little Ewan, this is the image that will always remain: the intent way they had of studying one another. This tiny soul that knew his mama, knew he belonged to her, and she to him. She knew him, and he knew her: they belonged to each other, and they still do. It's one of the most precious sights I've ever beheld, this photograph. I will carry it in my mind and heart each day as I love and pray for this friend, for her beloved husband James, and for all (even me) who grieve the loss of this little one's beautiful life. To read the beautiful story of the last hours Kirsten and James spent with Ewan, click here.